Ranbveer's real name is Ranveer Singh Bhavani His father's name is Jagjit Singh Bhavani and mother Anjum Bhavani . Ranbir's father has real estate business. 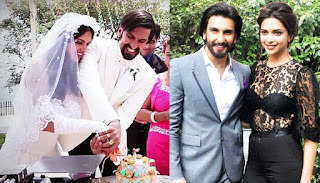 He always supported the dream of being the son's actor On the other hand, Ranveer's mother Anjoo is a housewife Despite being a big actor, he has stayed away from the limelight. |Ranbir has a sister, Ratika Bhavani Ritika. she got married . Ranveer r is very worried about his sister In many interviews, Ranbir mentions his sister. On the other hand, Ranbveer's grandfather and Sonam Kapoor grandmother were brother - sister. Let's come to the family of Deepika ,now Deepika's father is a famous badminton player. He got the Arjuna Award in 1972 and Padmashree in 1982. Like the mother of Ranbir, Deepika's mother Ujjala Padukone is also a homemaker He also worked as a travel agency at a time. On the other hand, Deepika's sister Anisha Padukone is a professional golfer pika's father, mother and sister live in Bangalore Deepika and Anisha are very much inclined. Deepika once said in an interview, 'My mother is the backbone of our family. My mother never came to the spotlight . Mother is happy with backsets. |My mother in our family is the real hero.